Is Your Website Design Above or Below the Fold? One of our web designers brought an interesting blog post to my attention the other day. The article, "The Myth of the Page Fold...", addresses the rule of thumb in web design that if you want visitors to read your content, keep it above the fold. The fold refers to the bottom of your screen. If content is below the fold, you have to scroll down to read it. 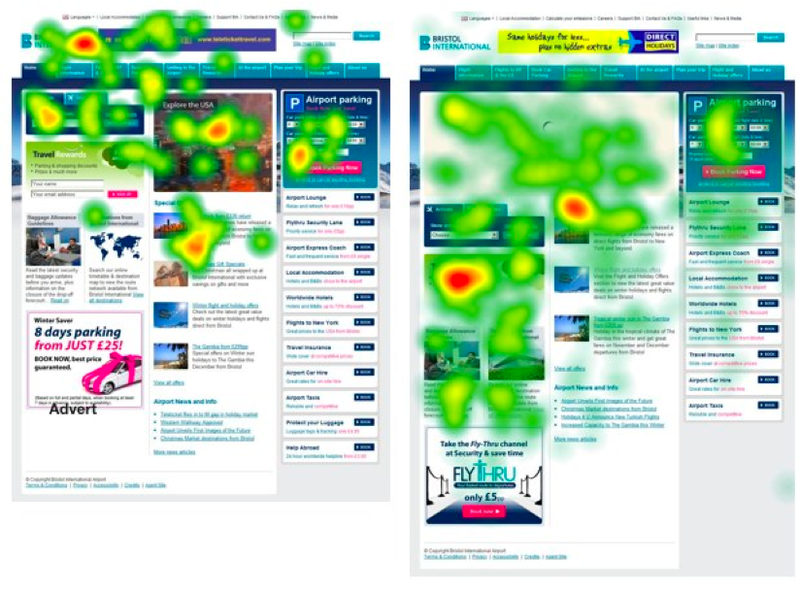 The authors suggest that their own eye tracking studies reveal that people are willing, even likely, to scroll down as long as there are visual cues above the fold. In particular, if your website design is uncluttered and naturally flows downward (without horizontal interruptions like bars or solid lines), visitors will happily scroll down to read the rest of the page. Too much text can be a turn-off. Need to balance with images, videos and design elements. Some people really hate long pages because they remind them of endless sales-pitch landing pages. What are your criteria for an effective website design? Do you need a new website design? We have some great ideas for you. With over 30 years of business and marketing experience, John loves to blog about ideas and trends that challenge inbound marketers and sales and marketing executives. John has a unique way of blending truth with sarcasm and passion with wit. You can connect with John via LinkedIn, Twitter and Google Plus.